Florists are recession-resilient and offer steady demand all-year round with spikes around Mother’s Day and Valentine’s Day. It suits creative types but experience and qualifications are arguably a must. Flowers simply don’t go out of fashion and demand is steady throughout the year as well as from year to year. "It's an art form," Don Waltho, MD of the Canadian Institute of Floral Design, told the Global and Mail. "If I paint an oil painting, I have to hang it on the wall for a year and hopefully somebody will walk by and buy it, but this kind of art is something we need on a daily basis." Experience and qualifications aside, it’s also a field with low barriers to entry. With fresh flowers and plants having a limited shelf life, storage needs are modest, which gives florists the advantage of smaller and cheaper commercial space. Like many sectors, however, the industry’s fortunes do mirror economic realities; the ‘language of flowers’ speaks louder during the good times. While offering cheaper arrangements or even fake flowers can offset falling revenues, there’s no denying that average spend per person will fall in tough times. And yet, sales shouldn’t fall off a cliff edge. Flowers are almost mandatory for funerals, weddings, anniversaries and Valentine’s Day – recession or no recession. There’s also a sense that you can’t go far wrong with flowers for birthday, Christmas or Mother’s Day presents. Like chocolates, fresh-cut flowers are a go-to gift when people are struggling for a gift idea. offering convenience – buy flowers with your groceries or without leaving home – and rock-bottom prices. In response, florists will live or die by their customer service, marketing efforts and, most obviously and importantly, the quality and creativity of their floral arrangements. Building links with local growers will give you several USPs: a reduced carbon footprint, a more ethical supply chain and support for Canadian growers. Many florists collaborate with partner businesses in catering and other sectors that provide services for weddings, funerals and other events to widen their sources of custom. Younger consumers are especially likely to favour the convenience of buying flowers online for delivery to girlfriends, wives and mothers. Free of premises-related overheads, exclusively online retailers can undercut high street competitors. Nevertheless, main-street florists remain resilient against such threats because many people pick up flowers as last-minute gifts or simply prefer to see what they’re buying in the flesh. And anyway, there is nothing stopping main-street florists from taking orders through their website or a platform like Shopify. Like many nations, Canada gets large volumes of flowers from abroad. This trend has made it more difficult and expensive to source locally grown inventory. Thus, a good relationship with local suppliers has become a key element for anyone who wants to be a champion of sustainability and Canadian growers. You and your staff need horticultural and flower-arranging expertise. Handling fragile inventory and producing floral arrangements to tight deadlines demands time management skills and a calm head under pressure, as well as a creative streak. You need to understand how to maximise the longevity of these perishable products and get flowers delivered on time, because customers won’t return if their flowers die within 48 hours or don’t turn up in time for their wedding. It’s therefore not advisable to set up a floristry business without qualifications or experience, so you should consider formal training and finding employment within the industry before setting up your own operation. The Canadian Institute of Floral Design runs a three-week, 150-hour crash course in Toronto, several colleges offer floral design certificates and a number of independent floral schools provide courses. Demand is steady all year round but soars around Valentine’s Day, Mother’s Day and popular months for weddings. Therefore a florist must be well-organized and proactive in liaising with suppliers during these periods and when changing seasons usher in new varieties. Florists should also keep up with trends as certain flowers and arrangements come in and out of fashion. The Canadian Professional Floral Designers Association seeks to promote knowledge of floral design, educate consumers and champion high professional standards. Flowers Canada is a strong advocate for Canadian floriculture. The organisation works to promote retail opportunities in order to expand consumer choice and promote healthy competition within the industry. The self-styled ‘Voice of the Canadian floral industry for over 100 years’, Canadian Florist magazine provides industry news and advice. Purchasing an established business is often a more secure route into floristry than setting up a new business, because you won’t have to build a reputation from scratch. Of course it might have a bad reputation – in which case you can probably secure the business for a knockdown price. Just be sure to remedy the business’s shortcomings and put ‘under new ownership’ signs in your window and on your website (not so wise if your acquisition is thriving). Florists are cheaper to buy than many retail businesses because you won’t be taking on much inventory (because it’s perishable), floristry tools are few and inexpensive, and premises tend to be small and comparatively cheap. This might make a main street location more feasible – a boon in a trade that benefits enormously from high footfall. A florist’s true assets are its staff – so scope out the likelihood of talented flower arrangers staying on under new management before you sign the final sale contract. Read all about how to run a blooming good floristry business! Before you blossom in the floral industry, you should know some facts and statistics about the trade in Canada. 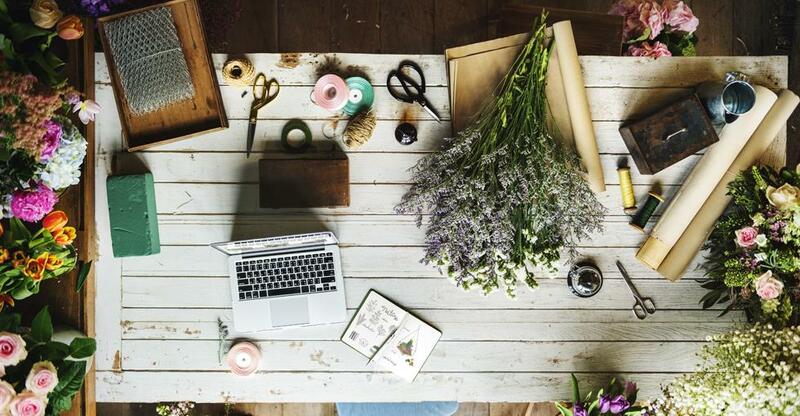 Read this to find out how to go about finding the right buyer for your floristry business.